As the Westerville (OH) Police mourn the loss of their colleagues, officers from other local departments have volunteered to help patrol in Westerville. 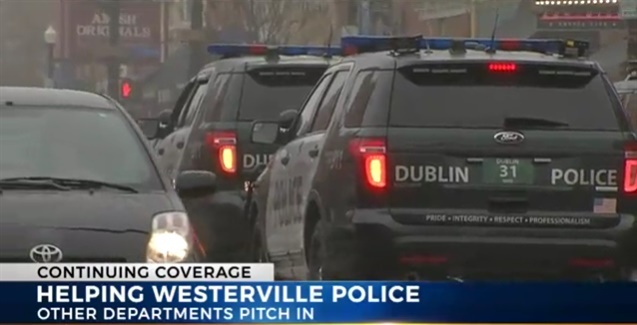 The Westerville Police Chief says officers from Dublin, Hilliard, Upper Arlington, Genoa Township, Columbus, the Franklin County Sheriff’s Office, and more are pitching in to help patrol and answer calls as Westerville police grieve. Two Westerville officers were shot and killed Saturday responding to a 911 hangup call. Officer Eric Joering and Officer Anthony Morelli had both been with the department for a number of years, NBC4 reports.